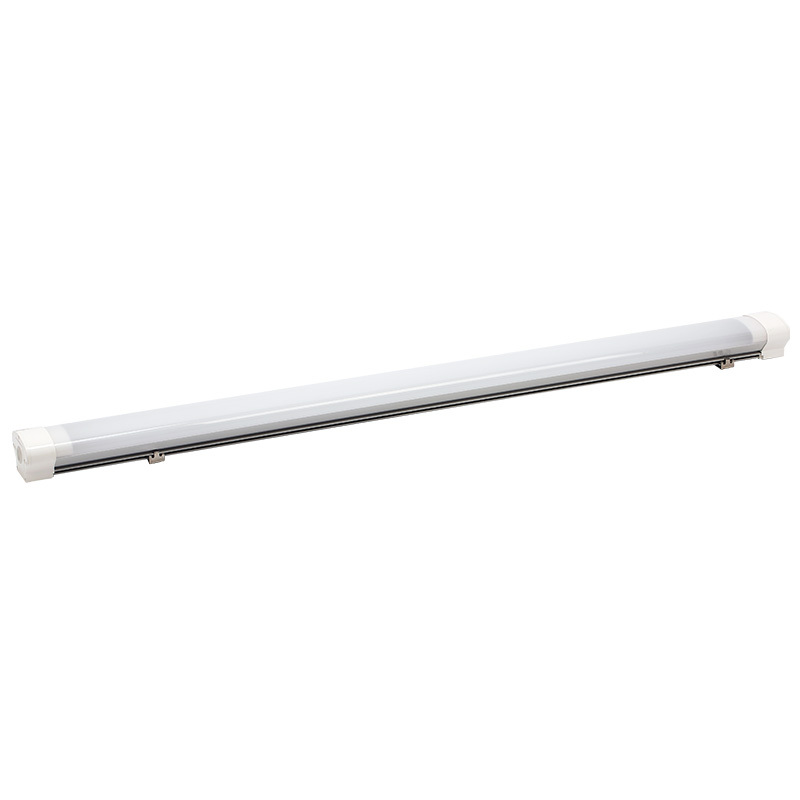 The led linear light fixture is designed for maximum durability in harsh environmental conditions. 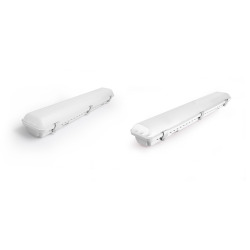 The housing is made from a single mold, polycarbonate materials and its end-caps are tightly fixed which allows for optimal water and dust resistance. 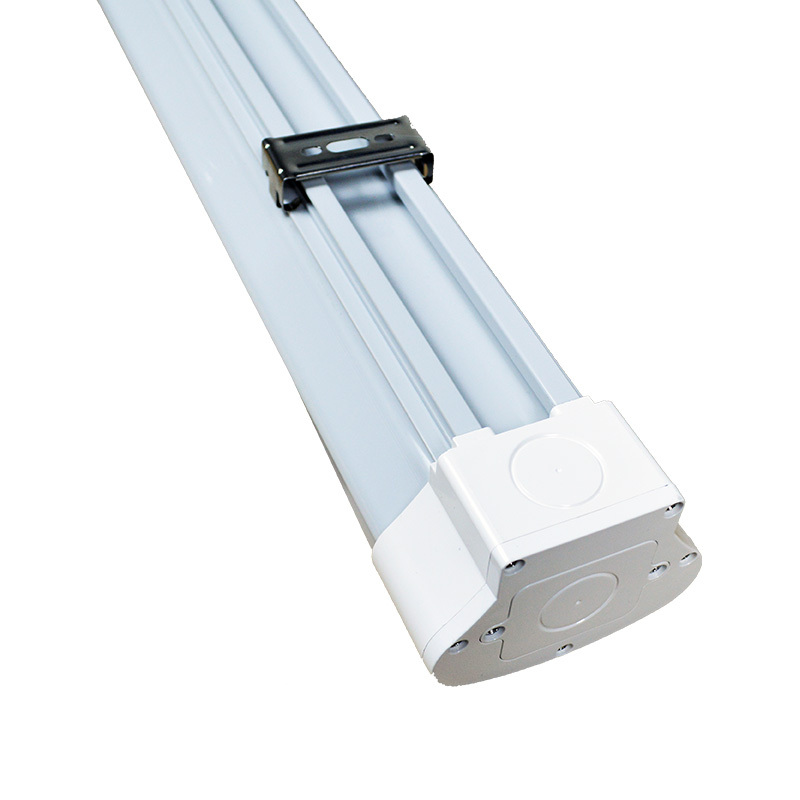 Consequently, it functions well in wet or dusty environments. 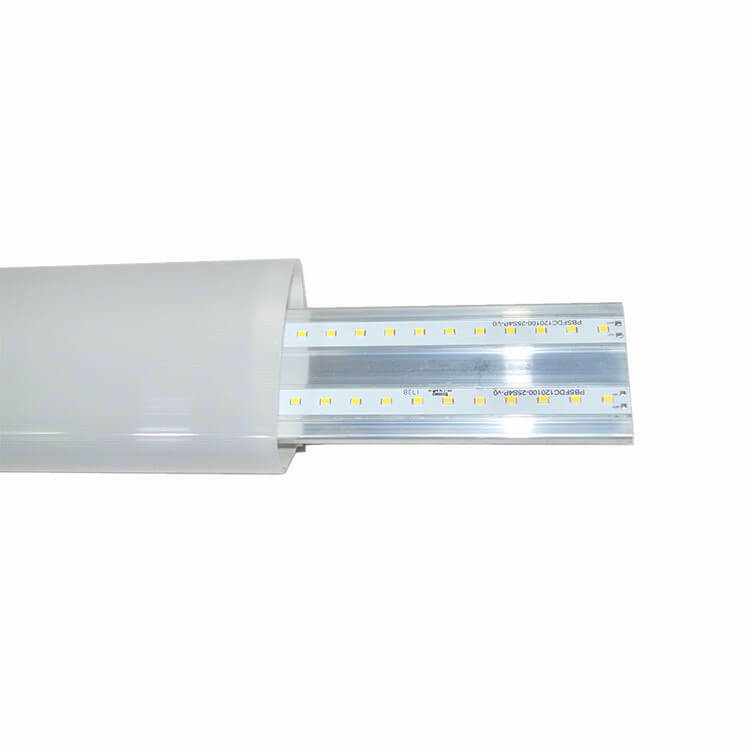 The internal aluminum core deals with the heat from the LED chips and assures a long lifespan. 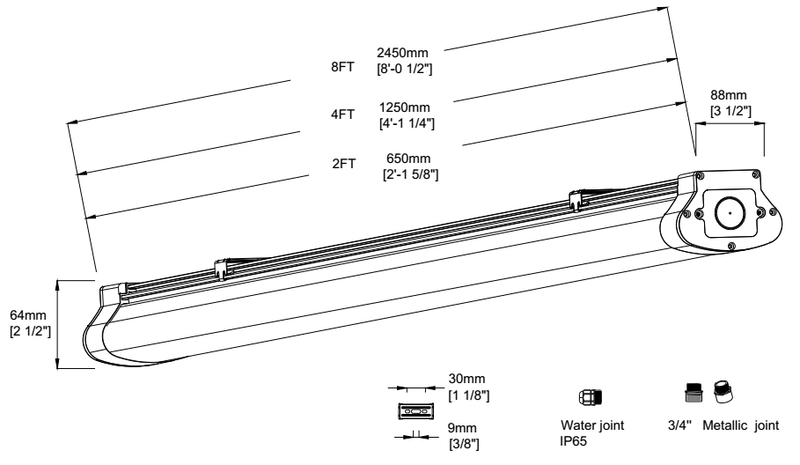 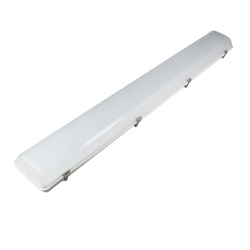 This linear led fixture has a high luminous efficiency of 130lm per watt, resulting in minimum energy consumption. 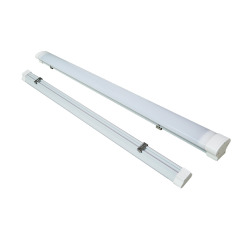 This waterproof led lights is easy to install and can be fitted either as a suspending light or on a surface mount. 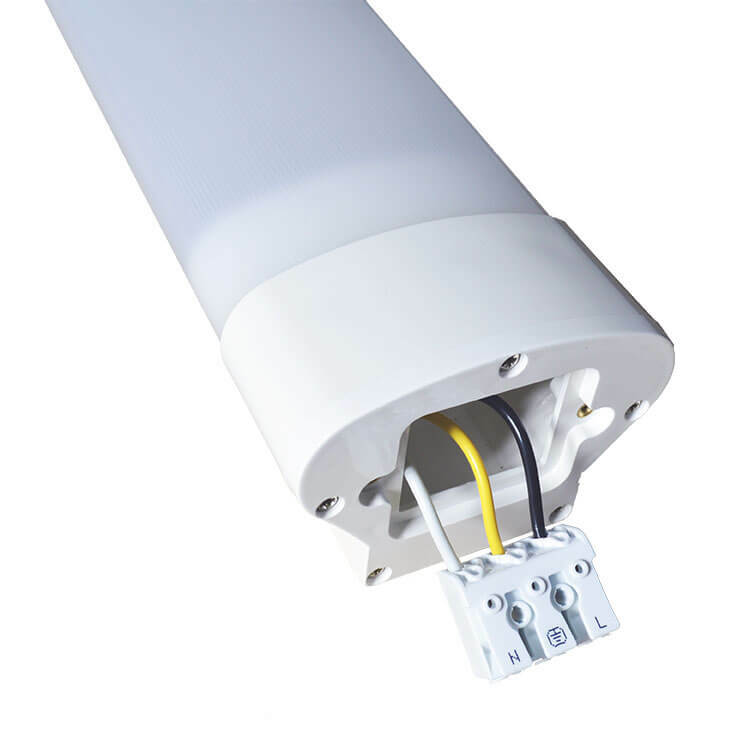 Its compact design, low maintenance features and simple installation process make the vapor tight fixture an ideal choice for indoor or outdoor locations, such as warehouses, garages, stairwells, factories, other wet and harsh environments.